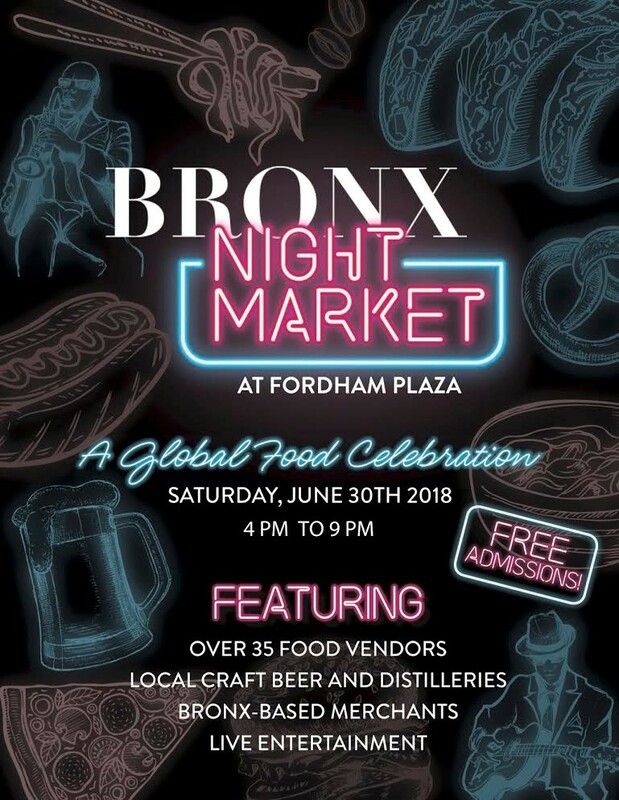 Bronx Night Market is a global food celebration happening at Fordham Plaza on Saturday, June 30th from 4pm-9pm. It’s a festival of food, craft beverages, and music that celebrates the global community within our city. We’re very pleased to share that from Bronx Little Italy, Arthur Avenue Fiasco, the Bronx Beer Hall, La Cantina Wine, and Mike’s Deli will be participating! The event will recur on the last Saturday of every month through October.